Download "ID DOBA Faculty of Applied Business and Social Studies Maribor"
1 ID DOBA Faculty of Applied Business and Social Studies Maribor ABOUT THE DOBA FACULTY DOBA Faculty of Applied Business and Social Studies Maribor is an independent higher education institution established in December 2003 and is part of the DOBA business group. 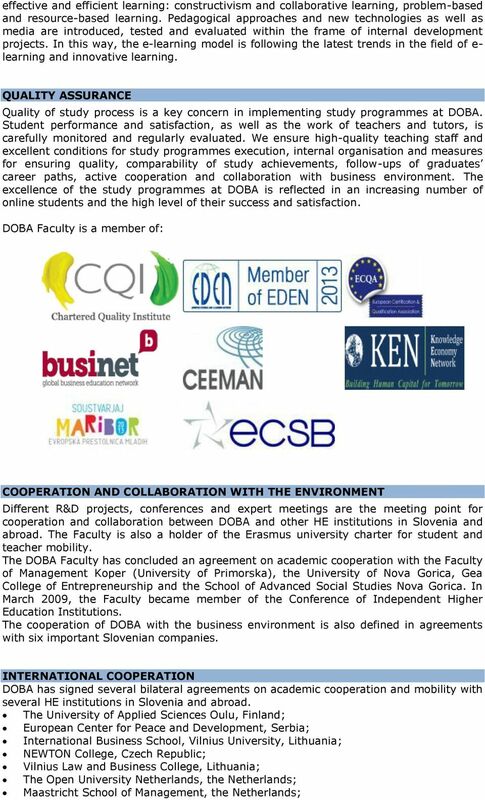 DOBA Faculty holds the honour of being the first and only higher education institution in South-Eastern Europe to receive the UNIQUe international certification for quality in e-learning which is awarded by the European Foundation for Quality in e- Learning. OUR VISION DOBA - A School That Goes Beyond. OUR MISSION With innovative programmes and approaches we change challenges into opportunities. KEY DATA School management Accredited Bachelor Programmes Dean: prof. dr. Rasto Ovin Director: prof. Jasna Dominko Baloh Director of Education: Irena Amič Ravnik International Study Centres Director: Polona Baloh Business Management is the first accredited bachelor programme in the field of business and administrative sciences in northeast Slovenia in accordance with the Bologna Declaration. It has two elective modules: Business and Law and Management and Informatics. Title: Bachelor of Economics Marketing covers principles, practices, and issues in three main areas: marketing, media and public relations. After completion of the programme, students are awarded 180 ECTS points. Title: Bachelor in Marketing Business Administration is a 180 ECTS programme that prepares graduates by giving them knowledge and skills to work in the field of international business management and office management. Title: Bachelor of Business Administration Organisation and Management of Social Services is an accredited bachelor programme in the field of organisation and management in organisations from the social sector. Title: Bachelor in Organisation and Management of Social Activities. 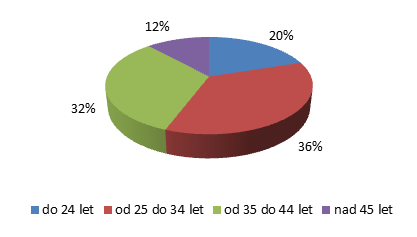 3 Student profile Gender: 67% female, 33% male; Age: Internet access: 6,1% have access only at work, 51,9% only at home, 42% at work and at home; 73% of students pay study fees themselves, 27% study fees are paid by the companies where our students are employed Virtual learning environment Student satisfaction with the programme all students use virtual learning environment Blackboard 6,2 on a seven 1-7 scale, 7 being the highest rate Student success rate 85 % Student retention rate 85,4 % Graduates 2943 HISTORY 2015 Prof. Rasto Ovin became the new dean of the DOBA Faculty The first master's online learning programme in English was implemented UNIQUe international certification for quality in e-learning which is awarded by the European Foundation for Quality in e-learning. DOBA Faculty is celebrating its 10 th anniversary At its 46th Session held on 12 February 2012, the Slovenian Quality Assurance Agency for Higher Education adopted the decision to prolong the accreditation of the Business Management undergraduate higher professional study programme implemented by DOBA Faculty of Applied Business and Social Studies Maribor for seven years The Advisory Council for the Development of Distance Study/E-Study was set up. The Council is an expert and consulting body of the management of DOBA Faculty. 4 The Council for HE accredited the Management of Lifelong Education bachelor and masters programmes. 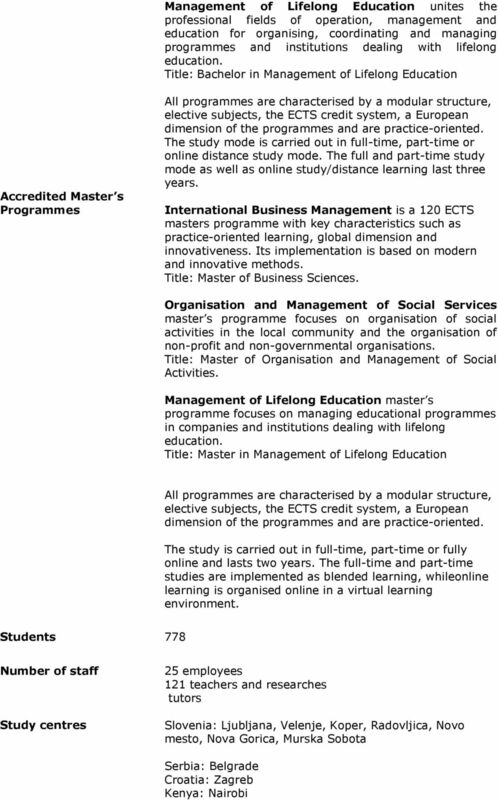 The Council for HE accredited the Organisation and Management of Social Activities bachelor and masters programmes. 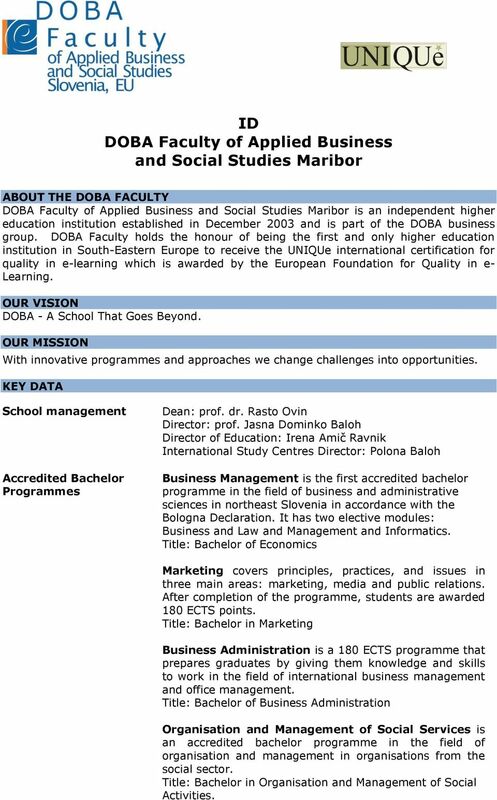 Council for HE granted the name change of College of Business Doba Maribor into DOBA Faculty of Applied Business and Social Studies Maribor. Two new bachelor programmes for Marketing and Business Administration were accredited by the Council for HE RS. The first generation of distance students enrolled in the Business Management bachelor programme in Serbia. The first generation of master students enrolled in the International Business Management programme. 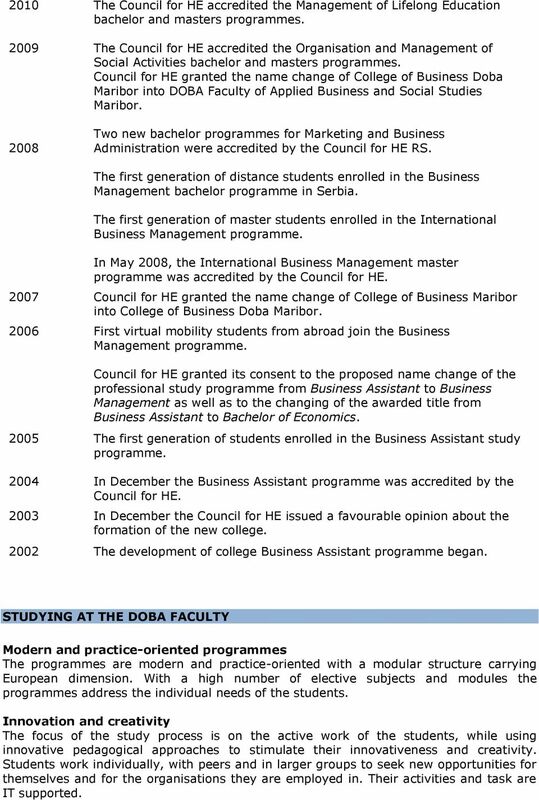 In May 2008, the International Business Management master programme was accredited by the Council for HE Council for HE granted the name change of College of Business Maribor into College of Business Doba Maribor First virtual mobility students from abroad join the Business Management programme. Council for HE granted its consent to the proposed name change of the professional study programme from Business Assistant to Business Management as well as to the changing of the awarded title from Business Assistant to Bachelor of Economics The first generation of students enrolled in the Business Assistant study programme In December the Business Assistant programme was accredited by the Council for HE In December the Council for HE issued a favourable opinion about the formation of the new college The development of college Business Assistant programme began. STUDYING AT THE DOBA FACULTY Modern and practice-oriented programmes The programmes are modern and practice-oriented with a modular structure carrying European dimension. With a high number of elective subjects and modules the programmes address the individual needs of the students. Innovation and creativity The focus of the study process is on the active work of the students, while using innovative pedagogical approaches to stimulate their innovativeness and creativity. Students work individually, with peers and in larger groups to seek new opportunities for themselves and for the organisations they are employed in. Their activities and task are IT supported. 7 The University of Venice, Italy; Euro-Schulen Halle, Germany; CKM College of Business Economy, Bosnia and Herzegovina; Faculty of Economics and Engineering Management, Serbia; Higher School of Professional Business Studies, Serbia; Business Academy, Serbia. 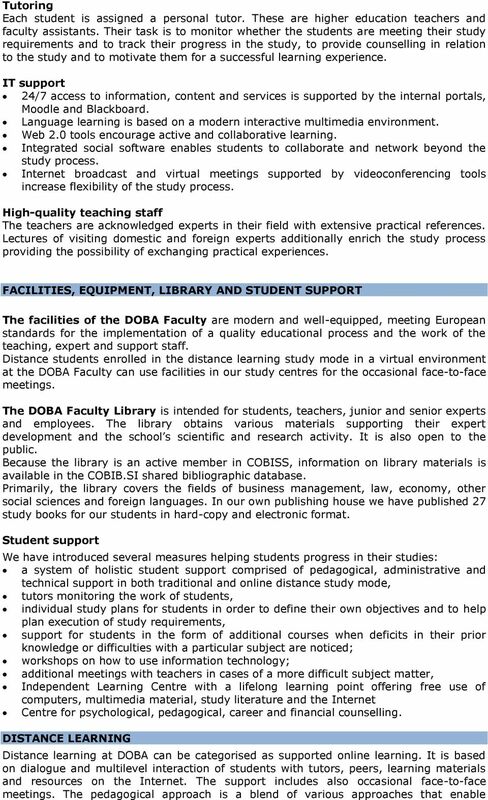 VIRTUAL MOBILITY At the DOBA Faculty of Applied Business and Social Sciences Maribor we promote student mobility because we believe that the time spent at other institutions helps students to obtain knowledge and experience, useful for further education and later employment. As the only faculty in Slovenia we also offer virtual mobility. The objective of virtual mobility is to facilitate exchange of those students who, due to financial, social or professional reasons are not able to participate in actual student exchange. Virtual mobility was designed as a development project, the first of its kind in Slovenia. DOBA Faculty was involved in a 2-year project Ready for virtual mobility? with partners from the Netherlands, Finland and Czech Republic. Virtual mobility represents the development of innovative approaches towards student mobility and global communication. The exchange is conducted via the Internet in a virtual learning environment where international experience and competences from individual expert areas are gained by the students within the framework of multicultural and multinational groups, taking into account all the possibilities offered by global communication technology. VIRTUAL SUMMER SCHOOL During the summer, DOBA Faculty organises a virtual summer school with international participation. Students attend short seminars on current topics or involve in individual subjects that are parts of programs. After passing the necessary exams, students receive the certificate stating the gained ECTS points. Each year we organize an international week and offer interesting lectures and webinars for our students and teachers. In June 2011 there were over 250 participants from 16 different countries. Participation in the international week for foreign students is free of charge. Students and tutor meet in a virtual learning environment, where all resources, guidelines and forums are to be found. RESEARCH AND DEVELOPMENT The research and development work is carried out under the auspices of the registered research group at the Business Institute, which was established with the intent of bringing together business theory and practice and support research and development work of both teachers and students. An important objective in the field of research and development activities is to deepen and strengthen research and development work in various branches of social and business sciences, as well as in multidisciplinary and interdisciplinary research. Furthermore, our focus lies on development of new programmes and innovative pedagogical approaches, where distance learning, virtual mobility and competence model play and important part. The director of the Business Institute is Boris Cizelj, PhD, dean of the DOBA Faculty. The development work is carried out within six centres, the E-Learning Centre, the Quality Centre, the Centre for Didactics, the Centre for Counselling, the Lifelong Learning Centre, the Centre for Business Languages and the Centre for Innovations, in the framework of which researchers and teachers are involved in research and development projects. 8 KEY ADVANTAGES The DOBA Faculty offers modern and practice-oriented bachelor and master programmes in a traditional and online distance study mode with a high number of elective courses and modules. Excellent study results, high success and retention rates, number of graduates, and an exclusive know-how in the field of pedagogical approaches is what makes our faculty one of the most ambitious faculties in Slovenia. Student-centeredness, individualisation of the learning process, holistic support system, the use of effective pedagogical approaches supported by new media and technologies as well as permanent innovations will remain the key elements of our orientation in the future. Country Report on Adult Education in CROATIA Helsinki, 2011 Please check our website for the latest version of this country report via the following url or QR-code, or contact us directly at eaea-info[at]eaea.org. Co-operation project "Security Management International"
Applicants whose first language is a language other than English may be required to provide evidence of their English language proficiency.